Yu-Gi-Oh! TCG Event Coverage » Central America Dragon Duel WCQ Winner! Home > 2018 Central America WCQ, Championships	> Central America Dragon Duel WCQ Winner! A champion has been named in the Central America Dragon Duel WCQ! 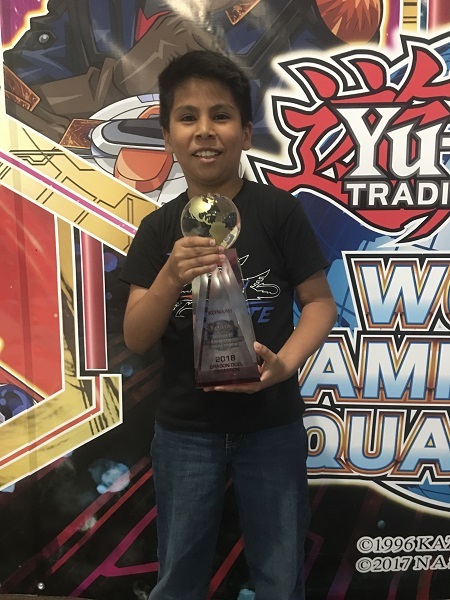 Alan Leonardo Martinez Capetillo used his Mekk-Knight Invoked Deck to take first place in the 2018 Central America Dragon Duel WCQ and earn an invitation to the 2018 Yu-Gi-Oh! TRADING CARD GAME Dragon Duel World Championship! Congratulations!